This stunning, luxuriously built complex lies near the piste of charming Alpendorf, near St. Johann. In this ski-in/ski-out location, you will be living in a gorgeous apartment on the 1st floor, which you can access by stairs or by lift. (The piste is approx. 200 metres away on foot.) On arrival you will immediately be struck by the enormous space at your disposal. The high-quality finish and the warm comfort will make you feel at home right away. The spacious living room features a luxurious open kitchen as well as direct access to the large, magnificent balcony (34 m2), which boasts a spectacular view. The kitchen comes equipped with all modern appliances, an induction hob island, and both a filter coffee machine as well as a Tchibo Cafissimo capsule coffee machine. The 2 bedrooms have been decorated in equally fine quality and both feature a double bed and a TV. You will also have access to 2 beautiful bathrooms, 1 of which boasts a wonderful bathtub. 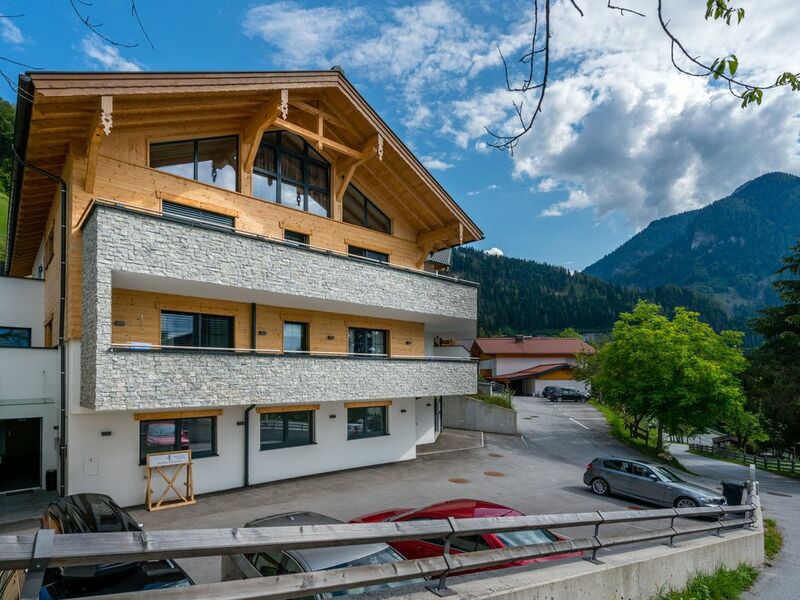 After a day of skiing or walking, you can wonderfully relax in the wellness area of the complex, where you can find a lovely sauna (for a small fee) Alpendorf, part of St Johann im Pongau, lies in the heart of Salzburg, so you enjoy a central location in both winter and summer. Around Alpendorf there are many sights to see, lifts, beautiful klammen and hiking or mountain biking opportunities. In winter, the ski area of Alpendorf/Wagrain/Flachau is at your disposal. Additionally, with the same Ski Amadé pass, you can also ski to other skiing areas without having to pay extra. Really exceeded our expectations and very good value. De accomodatie was zeer goed verzorgt en heerlijk luxe. Alleen viel het ons tegen dat we niet skiënd de lift of het huis konden bereiken. Erg jammer! Sleuteloverdracht goed doordacht, goede ligging bij drukte vandaan en toch zo op de piste. alle foto's en omschrijvingen klopte perfect. Echt alles aanwezig, zelfs kruiden, bakpapier enz. tot in de details compleet!! Schitterende omgeving. Sleutels aanwezig zonder wachten op beheerder.